Depending on who you ask, Froot Loops have either always had multiple flavors to match their multiple colors… or it’s all the same flavor and just a trick of the tongue. 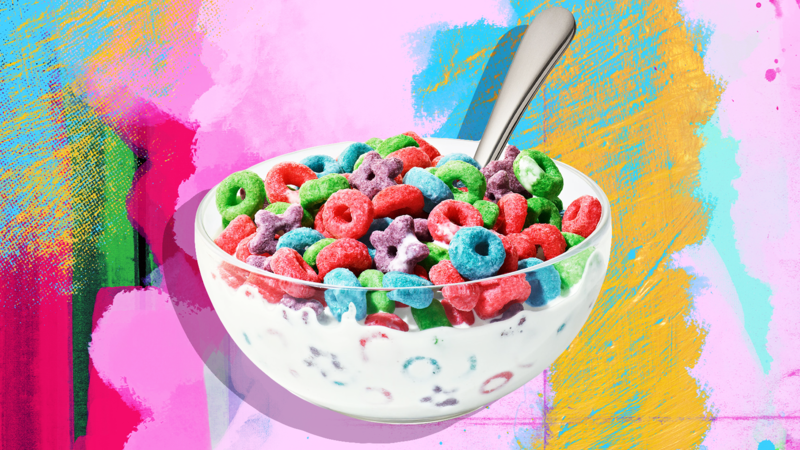 Either way, they were always good for turning your milk into a fun rainbow, and now the cereal brand has announced a new wild berry flavor. Plus, they’re changing up their traditional loop style to throw in some colorful purple star-shaped cereal. The new cereal is the first new flavor for the brand in 10 years and has been described as tangy, sweet and fruity. Cereal isn’t just for breakfast, of course, and we’d be lying if we said a bowl of Froot Loops didn’t sound like an excellent post-dinner snack — especially if you’re hungry for a little nostalgia. In case you’re in the mood for a bowlful of cereal, don’t worry — there are plenty of other ways to try the new treat. Kellogg’s has recommended them as a topping for a royal wedding-themed dessert, for example. You can find the new wild berry-flavored Froot Loops at all major retailers and expect prices to be between $4.69 and $5.79 per box. Blessed be the Froot Loops, friends.